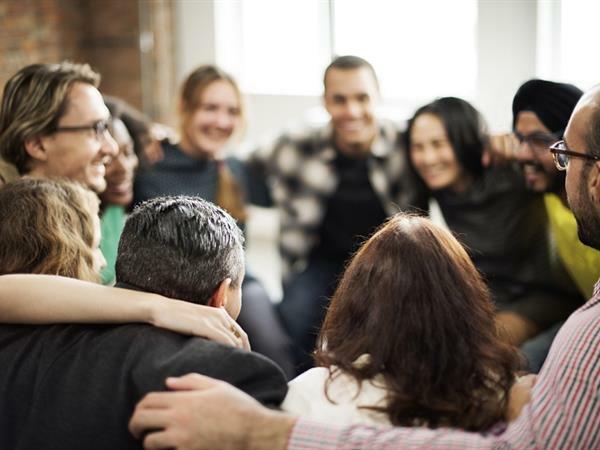 Team bonding is all about building trust, mitigating conflict, encouraging communication and increasing collaboration among your employees, and is one of the best investments you can make in your company. Getting your employees out of the office and spending time together in a less formal environment will allow for a more organic bonding experience that will translate into the office. There are plenty of team building experiences available across Sydney – from outdoor sporting activities to indoors activities that will test the mind – so you’ll be able to find something suitable for all your employees. Team building brings people closer together, which in turn, fosters productivity in the workplace. If employees are encouraged to socialise and make deeper connections with each other, a work environment will be created where progress can be made because people are able to communicate better and understand each other’s strengths and weaknesses. The most memorable team bonding experiences are the ones that take employees out of the office. If it doesn’t feel like a regular work day, people will relax and enjoy spending time with each other. No matter whether you have an active group of people wanting to get outdoors, or a more creative and hands on workforce, there is something for everyone. Foster teamwork and create a positive workplace culture with one of these 5 team bonding experiences. Escape Hunt involves teams being locked in a room with 60 minutes to work together to solve riddles and clues in order to escape. The adventures are set in the historical Rocks area of Sydney 100 years ago and are perfect for team building as they require communication, teamwork, critical thinking and problem solving – all skills necessary for an effective workplace. Escape Hunt offers corporate packages that give you exclusive access to the premises, and as one of the only licensed escape room venues in Sydney, your team can share stories over some food and drinks after the game. Escape Hunt doesn’t require any strenuous physical exertion either so there will be no excuses for not getting involved. A list of packages and prices is available here. If you want your employees to take a meaningful message away from their team building experience, then a graffiti art session is perfect. The group is broken into smaller teams of 10-15 who will work together on their own blank canvas to create a piece of art that encapsulates the company’s values and branding. The teams are given 1-2 hours to create their work and will be coached on creative techniques by renowned Australian graffiti artists. Getting your team thinking about your company’s values while working together in a relaxing and fun environment is a great way to reinforce the value of their work. You can even create a competition with the best piece from the day being displayed on a wall in the office. This one’s more suitable for the outdoorsy types, but nevertheless can still be participated in by anyone fit enough for a brisk walk. Teams are divided into smaller groups of around 6-8. Beginning at a starting point, each team will be given a map and clues and will leave in intervals. At each checkpoint the team is briefed on point scoring activities and once they are completed, the clue for the next destination is given, until all teams have completed the race and the one with the best time is the winner. There are nine different courses to choose from. The city courses include the Botanic Gardens, Hyde Park, The Rocks, Cockle Bay, Pyrmont and Darling Harbour. Otherwise, there are great courses outside the city including Coogee Beach, Kirribilli, Manly Beach and Parramatta. You can take your team to learn the basics of spinning plates and juggling at a circus skills workshop. For most employees these will be new activities they've never tried before and will require determination and persistence, while also providing plenty of laughs. Mastering circus skills requires spatial awareness and depth perception which also help increase mental awareness. At the end of the workshop you can choose to put on a performance and reward the team with the best skills. This team bonding activity probably has the most satisfying reward – a delicious gourmet meal. Rather than taking the team out for a lunch, why not have them create the meal while learning new skills and bonding. It requires no physical effort beyond standing, and even those who can’t cook can learn some simple skills. A menu choice can be found here, and the price includes the recipes used so your employees can cook the meal again at home and remember the good times they had with their colleagues. If you want to create a memorable team bonding experience where your employees will take the skills and friendships created back into the workplace, choose from one or more of these experiences. And don’t forget, a one-off experience will likely be forgotten quickly. If you want to keep the positive culture alive, make sure to organise regular and meaningful team bonding activities throughout the year.